At the end of the day, right and wrong don’t depend on right or left. The Forum of Fargo, N.D., initially said it was $104,528.22. Then the mayor said it was more like $10,000 over the daily cost of law enforcement. A commentator from The Forum said it was actually $31,147.58. The cost of President Donald Trump’s event in Fargo in support of Rep. Kevin Cramer’s campaign has been spun a bunch of different ways, and comments about whether funds were for regular or overtime pay for law enforcement have been boomeranging, too. But in the swirl, a couple of much more important points have been lost. Point #1: Taxpayer money was used for campaign purposes. So far, everyone seems to agree there was a cost to Fargo and Cass County taxpayers; they’re just arguing how much it really was. Which seems to have drawn the reporters’, commentators’ and public’s attention away from the real issues. Trump’s visit to Fargo was for a political campaign rally. Period. It was billed that way, organized that way and reported that way. The event’s purpose was to give Cramer positive coverage and help him raise money in the midst of a tough U.S. Senate campaign. Cramer was not there on official business. He was not tending to the needs of U.S. or North Dakota citizens. Trump was not there on official business. He was not tending to the challenges facing the American people. Both were there in purely political capacities. Given that, even one red cent of cost to the taxpayers of Fargo or Cass County was too much. That might not be pertinent to this specific situation, but the core ethical point is absolutely relevant. “Basic principle.” As in, this is so basic anyone should be able to understand it. Public funds should not support candidates for office. So, the cost of a rally by one candidate (Trump, who began running for re-election the day after his inauguration) for another (Cramer) should not be hoisted upon local and county taxpayers. The funds should be repaid, and the repayment should come from the campaign coffers of Cramer and Trump. I’d be saying the same thing if we were talking about a president and member of Congress who were Democrats. Statements after the fact about the total dollar figure being much less than what was originally reported are deflection and misdirection. It doesn’t matter how much the city and county had to shell out for the rally. It only matters that we got stuck with a bill, even for one red cent. Or, in the case of each of this county’s taxpayers, a small fraction of one red cent. We have free will. Each of us, if we want to contribute to Cramer’s or Trump’s re-election campaigns, can do it on our own, thank you. Setting aside for a moment the $3 checkoff for the Presidential Election Campaign Fund (see this explanation from the Federal Election Commission), why should our tax dollars go to support the re-election of candidates, whether we support them or not? Why should they get a free ride? Point #2 – Even if officers were on their regular shifts, or paid with regular wages, they weren’t attending to their regular duties. In his letter in the July 25 edition of The Forum, Robert Seigel of Moorhead, Minn., nailed it. I’m sure the Fargo Police Department protected and served the city’s neighborhoods during the rally, even though manpower was diverted. However, the officers who were on the political rally detail were not attending to their normal duties of protecting and serving the thousands of us who did not attend. Resources were diverted. In other words, taken away from. From whom? From us, the taxpayers. This is not a criticism of the Fargo Police Department or its officers. I simply do not want them diverted to a political activity on the taxpayers’ dime. 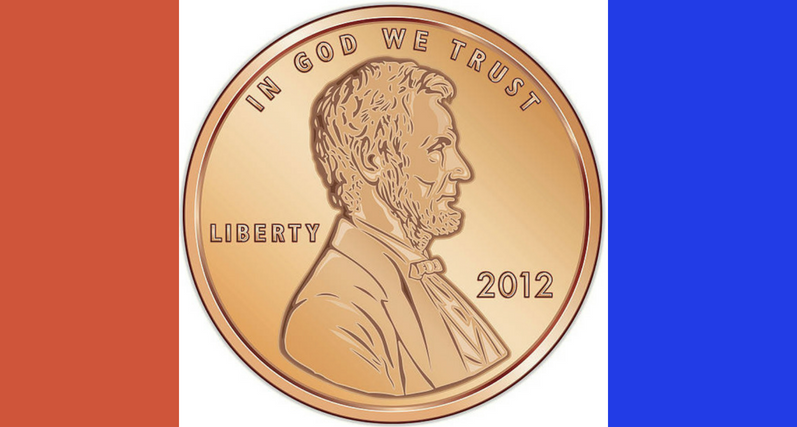 Or even one red cent. Our tax dollars were used for a political rally. Our police force was diverted from its normal duties for a political rally. Because, at the end of the day, right and wrong don’t depend on right or left. Next Next post: Flowers are Rainbow-Colored. People are Weird.